The Plaza Grande 55+ community is situated in Cherry Hill NJ which offers offers an array of shopping and dining options. We are minutes from Philadelphia. The Plaza Grande is situated along Haddonfield Road between Routes 38 and 70 in Cherry Hill, New Jersey. 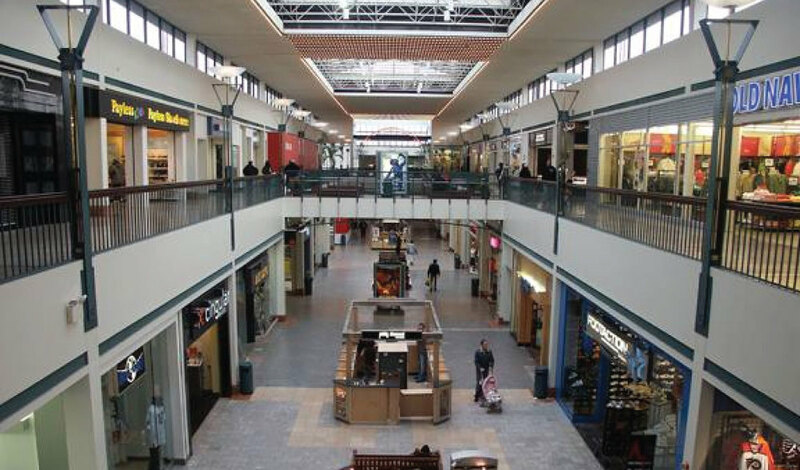 The area offers an array of shopping and dining options. Access to museums, historical sites and tons of entertainment options are at your fingertips. The Pennsylvania border is just a few miles to the west. From Philadelphia - Take 676 E to Ben Franklin Bridge Exit. At light take a right & stay to the left to merge onto bridge. Cross bridge and exit to the left onto Admiral Wilson Blvd/Rt. 30 – continue for 2.1 miles. Stay to the left to merge onto Rt. 38/Kaighns Ave. Stay on Rt. 38/Kaighns Ave. for 2.6 miles. Take a right onto Chapel Ave. In 0.2 miles turn right onto Crescent Way. At roundabout, take 2nd right onto Garden Park Blvd. Take 1st left onto Grande Ave. The Clubhouse/Leasing Office are straight ahead. Welcome to The Plaza Grande at Garden State Park. From Haddonfield - Take Kings Highway W. Turn left onto Grove St. In 2.1 miles turn left onto Garden Park Blvd. Make 1st right onto Grande Ave. The Clubhouse/Leasing Office are straight ahead. Welcome to The Plaza Grande at Garden State Park. From Moorestown - Go East on Main St. Keep left onto Kings Hwy. In 1.9 miles take a slight right onto NJ-38 toward Camden. In 2.6 miles take a slight right onto Haddonfield Rd. toward Haddonfield. In 0.8 miles turn right onto Garden Park Blvd. Make 1st right onto Grande Ave. The Clubhouse/Leasing Office are straight ahead. Welcome to The Plaza Grande at Garden State Park. From Palmyra - Go South on Market St. to Hilton Rd. In 0.2 miles take a slight right onto New River Rd. Take a slight right onto Rt. 73 S. In 1.3 miles take a slight right toward County Hwy – 644 Haddonfield. In 3.8 miles turn right onto Garden Park Blvd. Make 1st right onto Grande Ave. The Clubhouse/Leasing Office are straight ahead. Welcome to The Plaza Grande at Garden State Park. The Plaza Grande sits atop what was once Garden State Park Racetrack. Citation and Secretariat are two of the more famous horses to have raced here. The popularity of the racetrack spawned the growth of Cherry Hill and became a critical part of what developed into the "Golden Triangle". The Plaza Grande pays tribute to this history throughout the community. Bahama Breeze, Bath & Body Works, Bobby's Burger Palace, Brookstone, California Pizza Kitchen, Chico's, Coach, Crate & Barrel, Gap, Godiva, Grand Lux Cafe, H&R Block, JC Penney, J. Crew, Lens Crafters, Loft, Macy's, Maggiano's, Michael Kors, Modell's, New York & Company, Nordstrom, Old Navy, Pottery Barn, Radio Shack, Seasons 52, Teavana, The Art of Shaving, The Capital Grille, The Container Store, Vera Bradley, Williams Sonoma and more. For more information, or to request a brochure, please click here.